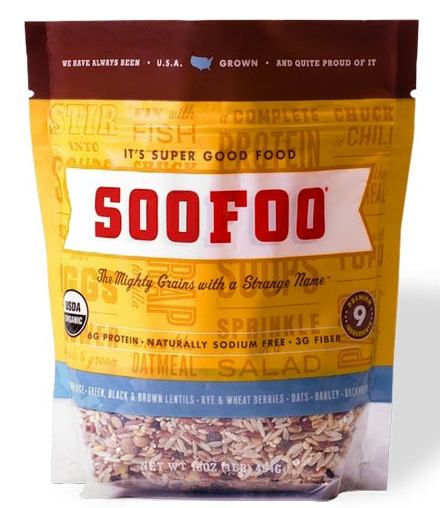 SooFoo is a new blend of lentils and whole grains, whose sobriquet is a play on the term superfood. The multi-grain mix is a blend of barley, lentils, brown rice, rye and wheat berries, all of which are sourced in the U.S and certified organic. The makers of the SF-based outlet sent me a sample of their product to try, along with this adorable rice-cooker which is sure to come in handy during the winter months. A streamlined design, the rice cooker is SUPER (soofer? ;)) easy to use. 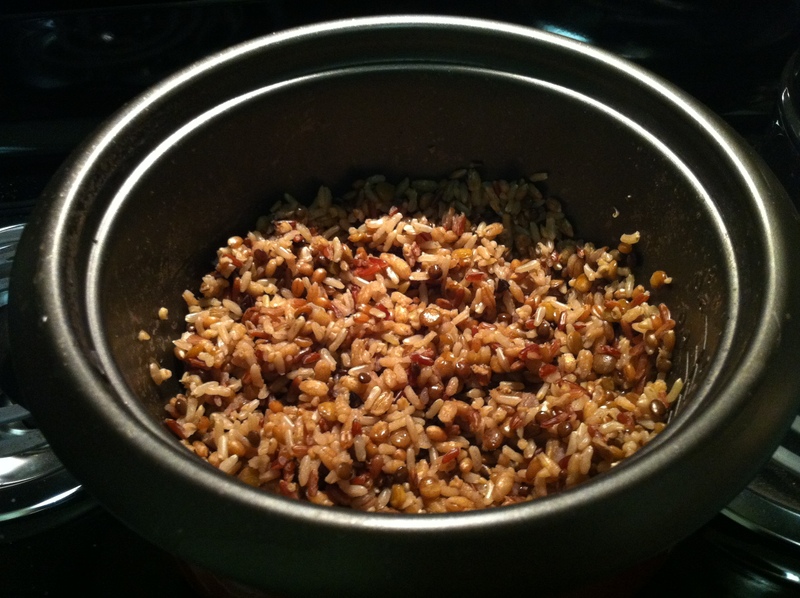 After plugging in, it took only about 30 minutes for my grains to finish cooking (the light toggles from ‘cook’ to ‘warm’ when done). 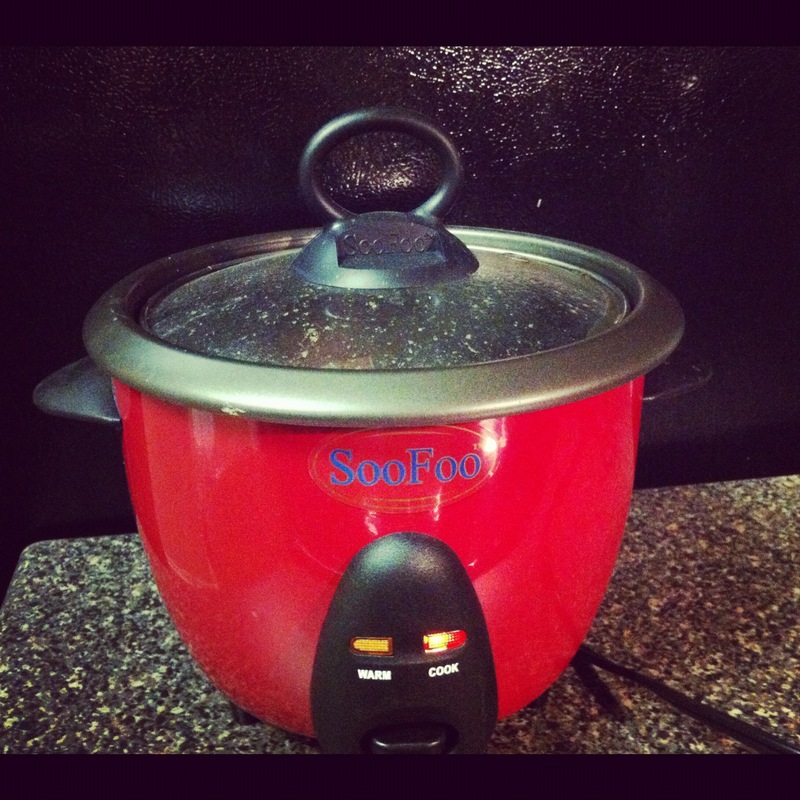 If you too want to be the proud owner of a SooFoo cooker, be sure to check out their facebook page as they appear to have ongoing giveaways. 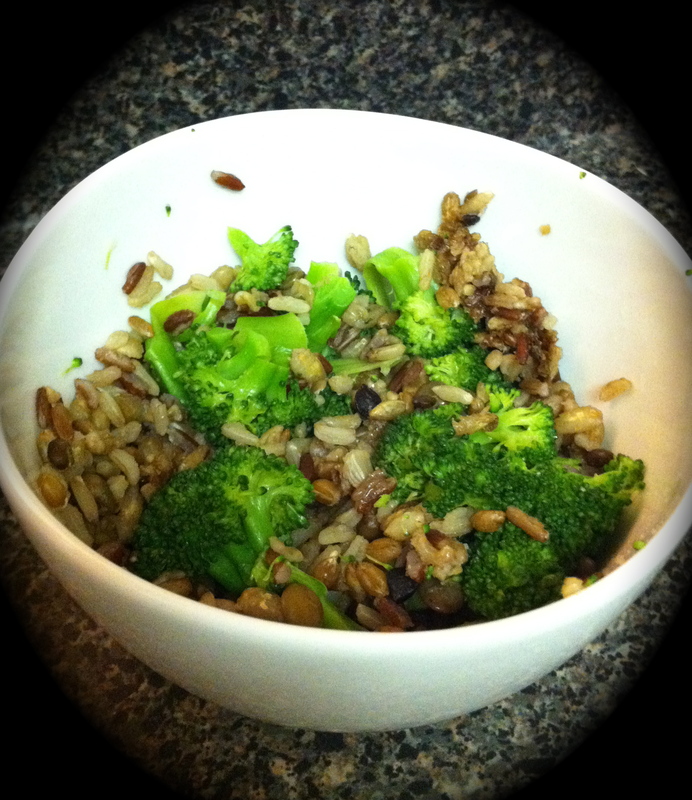 For dinner I prepared a savory meal of SooFoo grains and veggies, which was satisfying and delish. Add in your favorite sauces and spices and you have a fast protein and fiber-packed meal, whose rations could last you for days! Parfait for families committed to healthy living but juggling busy lifestyles. When I was contacted by the makers of Morrocco Method Int’l (MMi) to see if I’d be interested in testing out their product line, I was overjoyed as I’ve been an advocate of all-natural skin care for some time now. Most store-bought skin products are fraught with chemicals, and although the FDA may deem them safe for use, that doesn’t mean they are necessarily beneficial. Why pollute your pores with chemicals when there are organic alternatives? Let’s face it, natural products just make intuitive sense. These too could be yours! The holistic hair care line uses quality natural ingredients that won’t produce any unwanted side effects, unlike the majority of hair products on the market. Most commercial shampoos contain various additives such as synthetic scents (fragrance) and detergents, including Sodium Lauryl Sulfate (SLS). SLS is a particularly harsh cleansing agent that has been associated with severe skin irritation and hair loss, amongst other icky things. Although they have a variety of shampoos to choose from, I opted to try the Apple Cider Vinegar Shampoo, which is formulated to restore your hair and scalp to a healthy pH level. 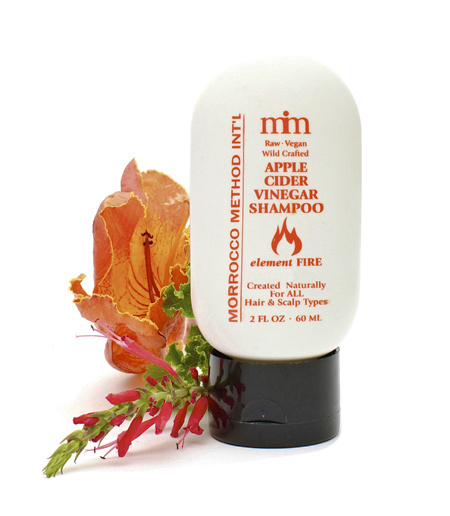 True to the cleanser’s namesake, this shampoo has a earthy apple cider scent, which left my hair feeling clean and well-nourished. Due to the absence of sulfates, natural shampoos do not lather as much as the standard chemical-laden ones; but if you wash your hair twice as is recommended, rest assured that you will get a deep clean. 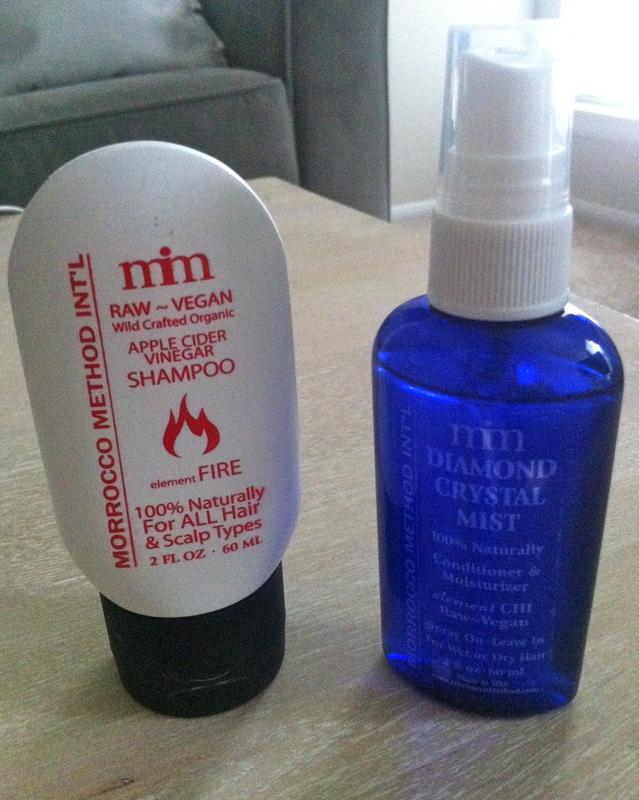 For the conditioner, I chose to sample the spray-on Diamond Crystal Mist. I’m OBSESSED with the efficiency of a spray-in conditioner, so I was super excited about this product — especially as I’ve been searching for a substitute for my last leave-in conditioner since my discovery that it wasn’t quite au naturel. Thus I’m pleased to report that the MMi mist conditioner left my tresses feeling soft and hydrated, in addition to giving off a sheen-looking appearance and pleasant-smelling aroma. 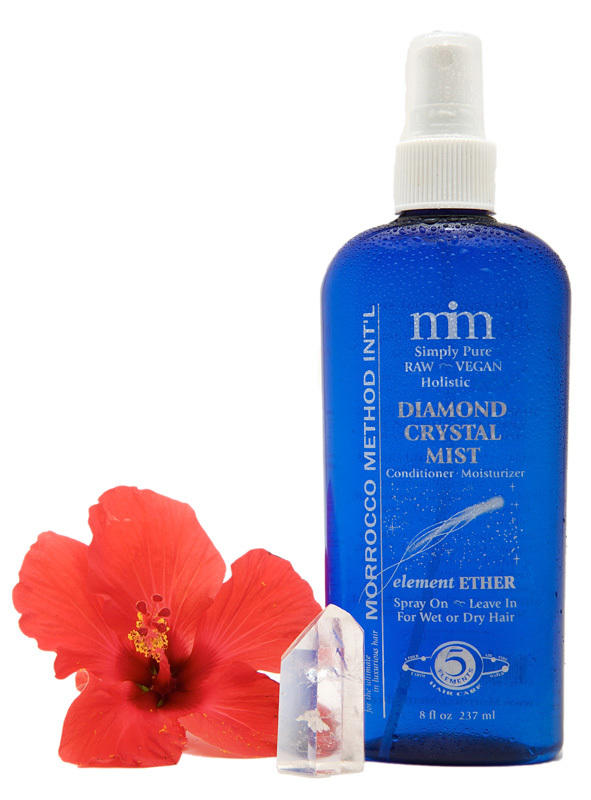 The mist is actually derived from crystals harvested in the Himalayan mountains, which are then liquified into a crystalline organic herbal base of St. John’s Wort. I can’t sing its praises enough. And lastly, a word on the ongoing debate about the frequency of which to wash (daily? once a week? conflicting theories abound). I have been on both sides of the spectrum of this dispute. Having naturally oily hair — and a habit of daily exercise — historically I have adhered to a wash-more-often-than-not routine. While living in SF, however (go figure), hair stylists cautioned me on the perils of over-washing (stripping your scalp of natural oils, etc). And although I heeded their advice for a short time (less product is more economical after all), in the end I didn’t find my hair to be any healthier. MMi offers a commonsense solution to this dilemma, which is simply to observe your hair and decide for yourself what works best for your locks. Who’d have thought it’d be so simple? With all the confounding information in the health world these days, this individualized approach is sound advice in nearly all arenas. Finally, remember that proper diet and well-being also play a vital role in the health of your hair. *UPDATE: Congrats to Eva Guibert, winner of the giveaway! Thanks to everyone who participated!! Wow, where did the month of August go? The dog days of summer may be drawing to a close, but we still have some time left before the warm weather ultimately withdraws. Lingering warm temps leave people craving lighter foods, and these baked Zucchini Chips make a great transitional snack item into the fall. Perhaps more prudent, they’re an easy, nutritive option for whatever you may have planned this Labor Day Weekend! 1. 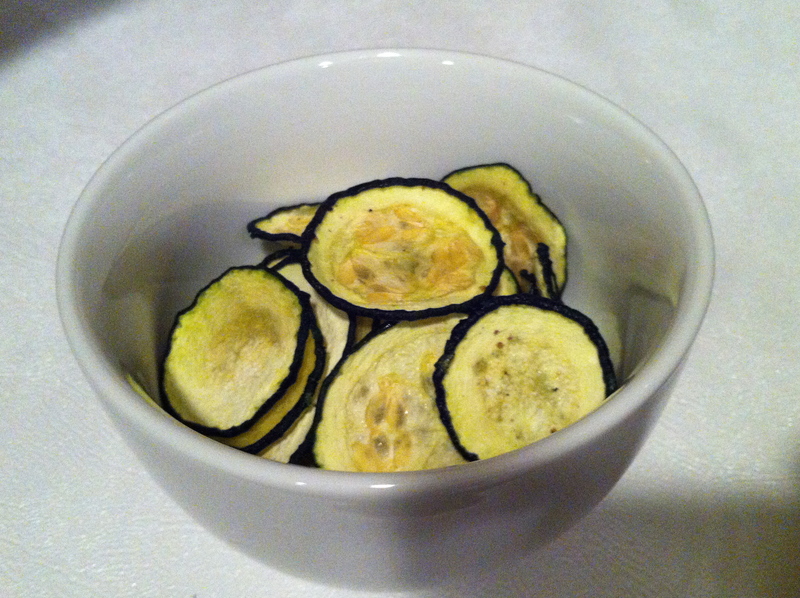 Slice zucchini into thin rounds or cut with a mandolin slicer. 2. Toss with olive oil and a bit of sea salt. 3. 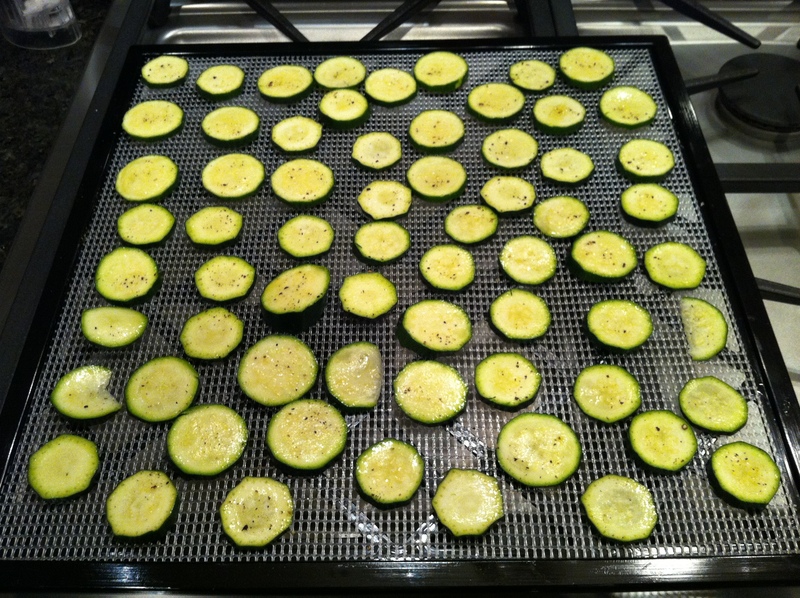 If you own a dehydrator, dehydrate at 135 degrees for 4-5 hours. Otherwise, bake in the oven for 20-30 minutes at around 325 degrees. 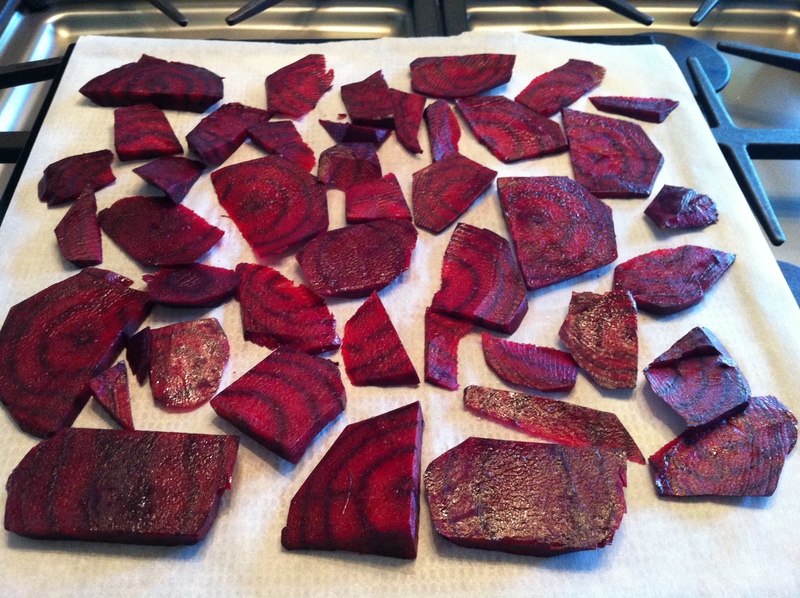 Beets also make a delicious dried veggie snack. Not to mention how geometrically beautiful they look! Note: Since beets are a little more dense than zucchini, you may need to use a little more olive oil to ensure that they get fully coated. Have a great, labor-less weekend! Oh what a week it’s been. From losing power for 5 days, to the awkward mid-work week holiday, I’ve been feeling all out of sorts running around in all different directions. It’s no wonder that I came down with a cold as a result. Nonetheless, I am on the upswing and finally plugged back in to the world. 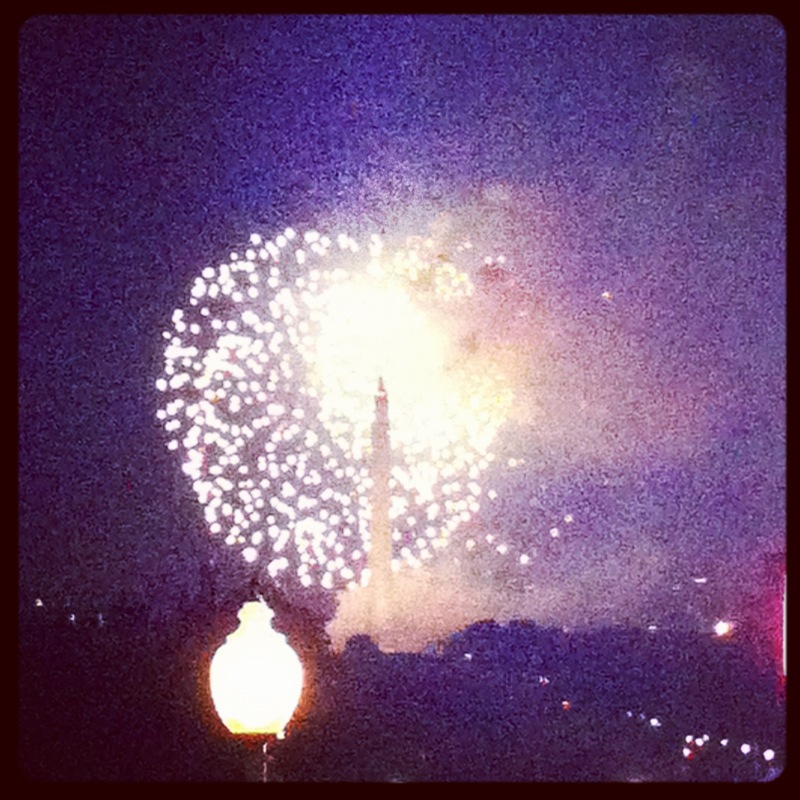 So although this was meant to be a 4th of July post, it will have to come as a retroactive one. 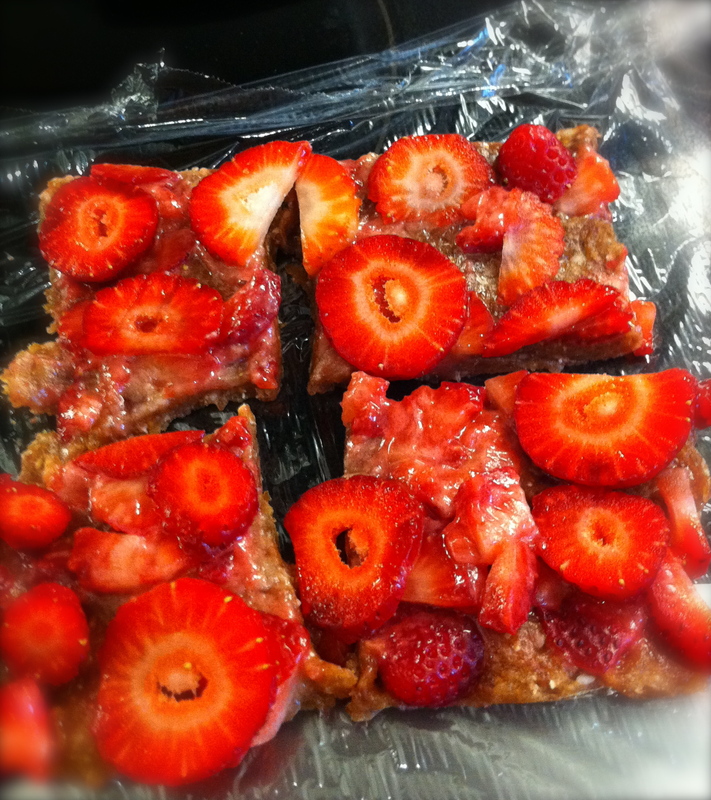 The following is a recipe is for Strawberry Macadamia Bars. Summer is the season for strawberries, so now is the time to take advantage! 1. 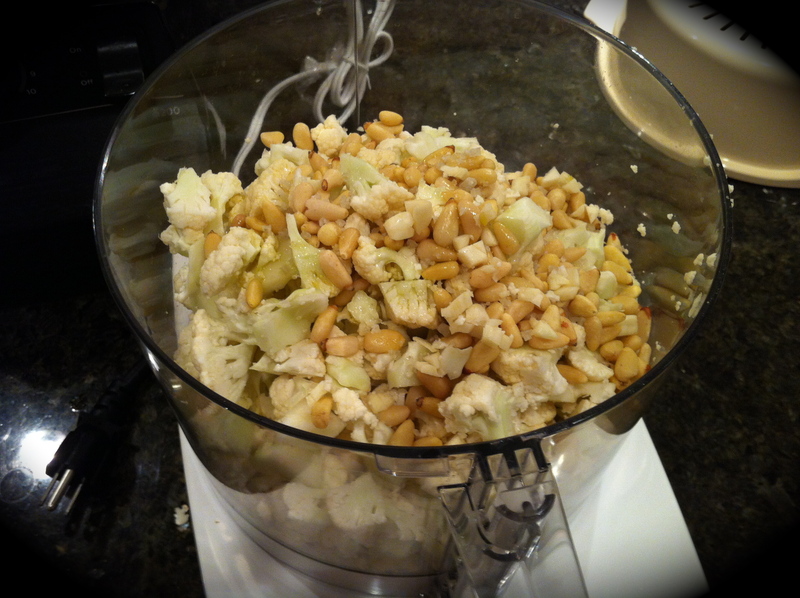 Pulse dates, nuts, oats, and salt in a food processor until combined. 2. 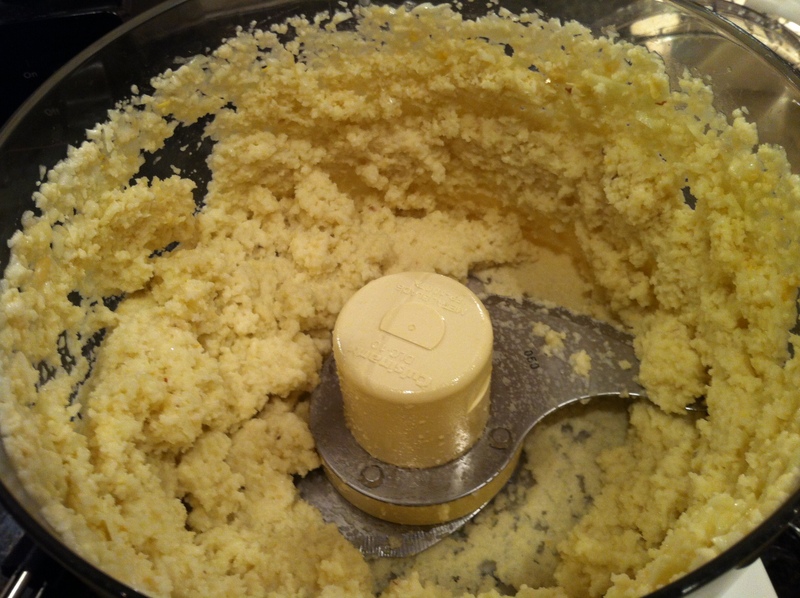 Press the date mixture into the bottom of a 9×5 pan. 3. Mash half the strawberries to spread on top of the date mixture. 4. 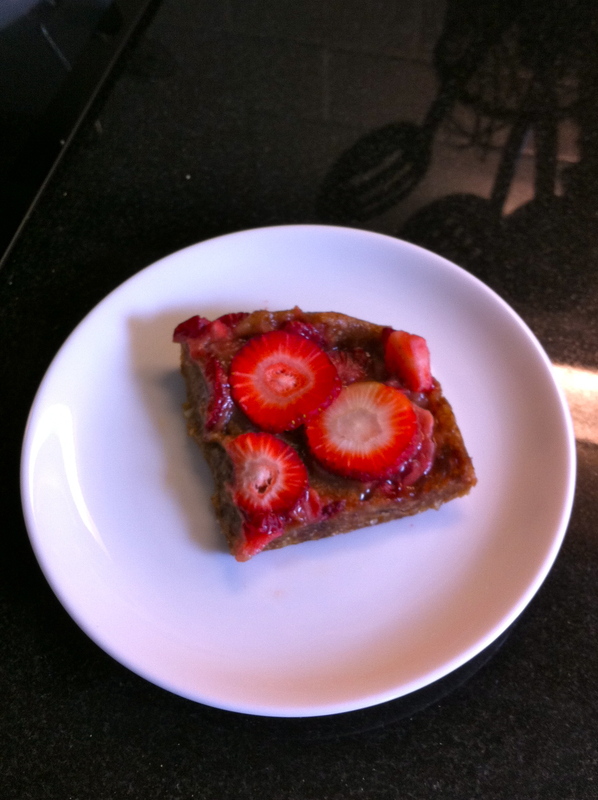 Top with remaining strawberries and cut into rectangles. Like all bars with few ingredients, these are easy to make. The most difficult part is spreading the date mixture in the pan, which can be quite sticky. The macadamia nuts in these bars give them a sweetness that is heavenly and paradoxically sinful. I defy you to have just one! What did you do to celebrate Independence Day this year? Did you make something all-American? Watch the fireworks in San Diego explode all at once?? Let me know in the comments! Juice cleanses are all the rage these days. Although health professionals are divided as to the actual scientific benefits, the raw detox regime has many steadfast devotees. There’s even a movement called Cleanse America, which encourages Americans to embark on a 10-day 100% raw food or juice journey, depending on your level of raw-readiness (vastly different for your average carnivore to the fruitarian, per se). 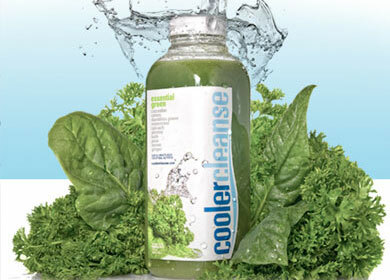 Proponents recommend juice cleansing an average of 3-4 times a year for routine health maintenance. The basic idea behind a cleanse is that by drinking your daily intake of vitamins and nutrients, you give your digestive system a break, allowing your cells to renew and the body to restore itself. Eliminating toxins in this way is said to help rid the body of deep-seated imbalances, particularly if you have a lot of processed foods in your diet. Thus benefits from a cleansing regimen may result in increased energy, weight loss, clearer skin, better digestion, improved sleep, and enhanced overall sense of well-being. 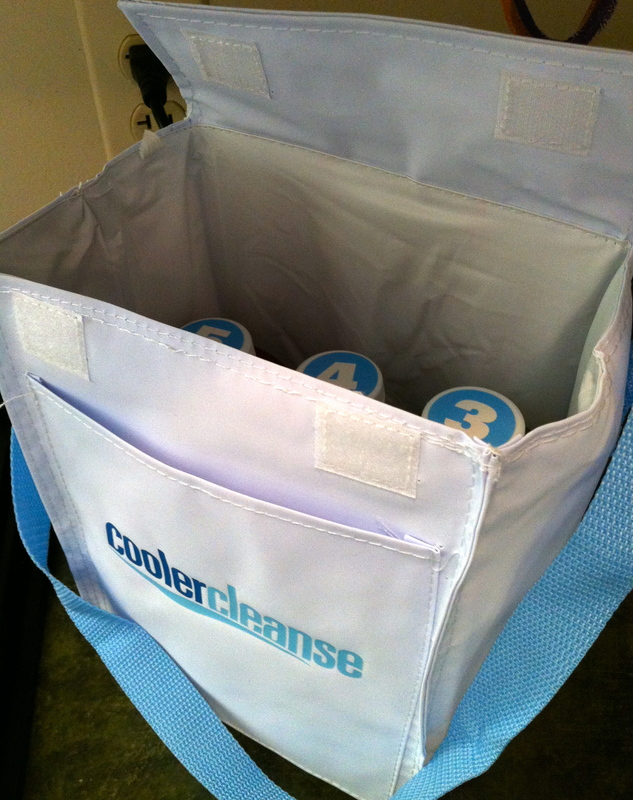 So last month, I enlisted my mother to participate with me in one of such programs called the Cooler Cleanse, a company co-founded by Salma Hayek. 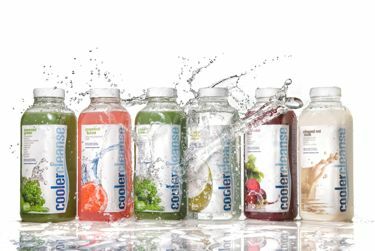 Having sampled a few of the more popular juice cleanses while living in NYC–such as the ever-popular Blueprint Cleanse (supported by celebs such as SJP)–I have come to the conclusion that “CC” is my favorite, simply because I find the juices to be the best tasting. Personal experiences on a cleanse vary, but I will give you my account. Although I was looking forward to it as I genuinely enjoy all of the delicious CC concoctions, cleansing to me is largely a mental challenge. Though I did not feel hungry, I admit there were times I felt overwhelmed with fatigue and experienced “detox symptoms.” On the plus side, I felt noticeably lighter and by day three my energy levels started to rise. I also had really vivid dreams (weird I know, but a common side effect so I hear). Possibly my favorite thing about a detox program though–in addition to the rejuvenation payoff–is that they force you to “reset” your palate so to speak, allowing you to curb bad food habits and overcome cravings. In effect you become more aware of your body’s nutritional needs, and after it’s over you may just find yourself craving the natural goodness of wholesome, raw foods. My best advice to ensure success on a cleanse program is to do it with someone, in order to hold you accountable and serve as your support system (unless you have amazing self-discipline). You’ll also want to make sure you receive adequate rest, so it’s a good idea to set aside a period of time where you won’t be doing any heavy lifting (although light exercise is encouraged). There is so much more I could say on the topic, but that is probably enough for now. For a more comprehensive review of juice fasting and the different cleanses available on the market, check out this educational guide from the Everyday Health site. 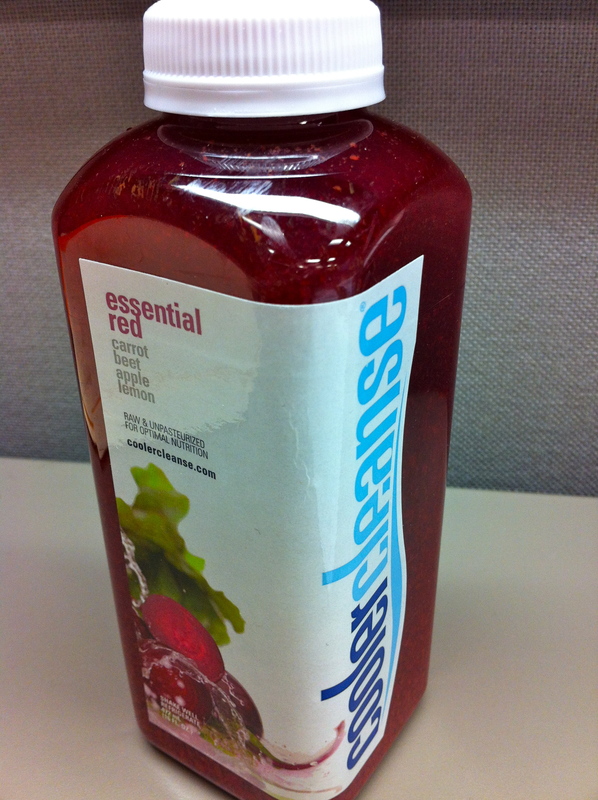 Have you ever participated in a cleanse? If so, I’d love to hear about your experience! 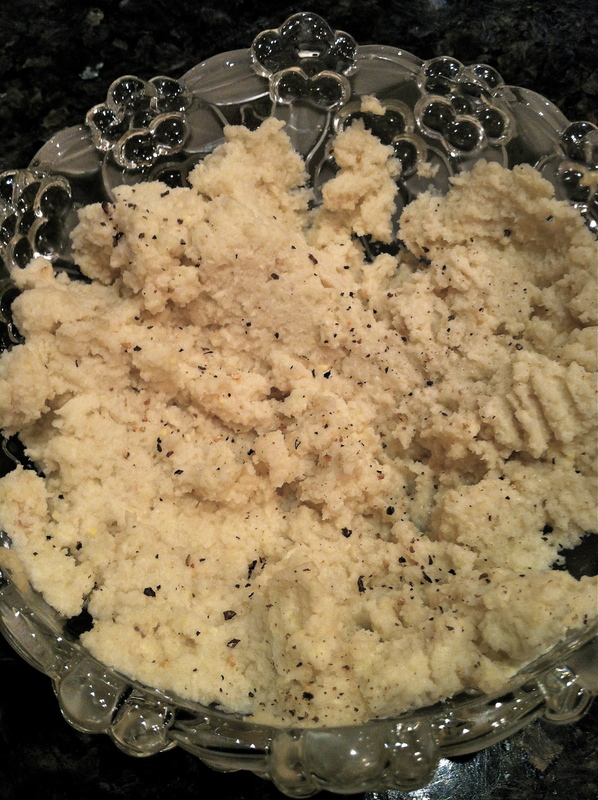 I recently served this “mashed potato” recipe from Kimberly Snyder at a little social gathering, and it was all the rave. 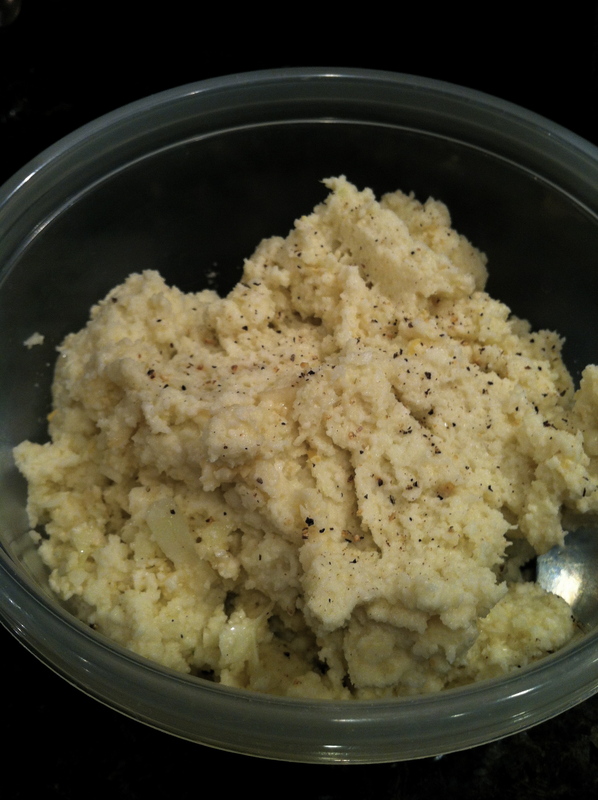 It’s essentially a raw take on mashed potatoes, but made from cauliflower and sans all the butter and cream. 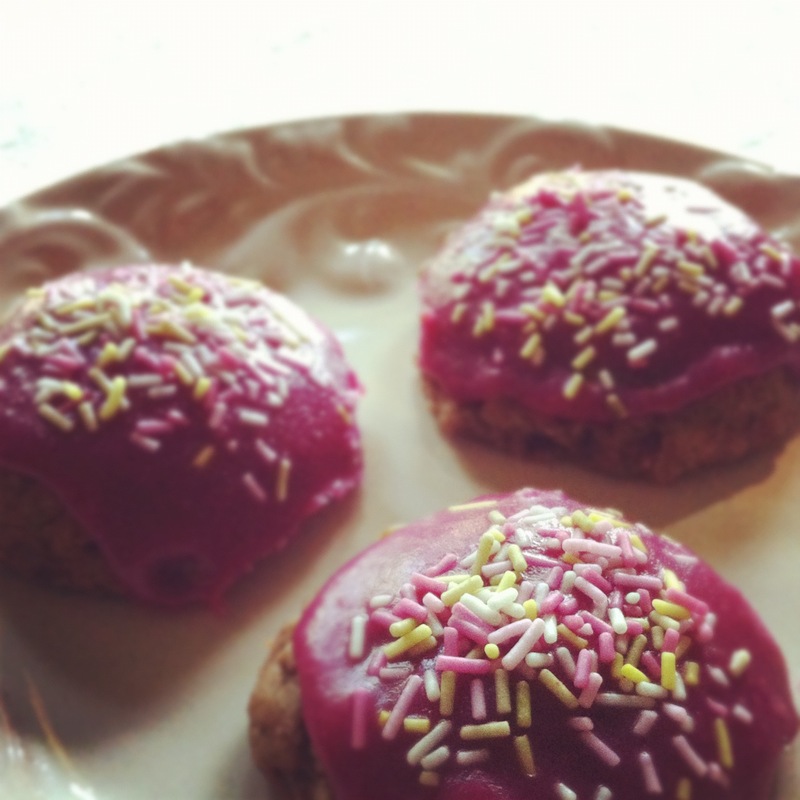 Its texture is remarkably similar to the real deal, and I defy to you taste the difference! Directions: Blend all ingredients in food processor until smooth and fluffy. Garnish with black pepper and enjoy!